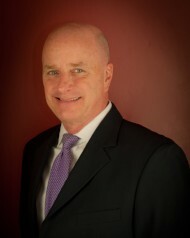 Kevin is the founder and Managing Partner of the Cnesta Group, LLC a full service executive search and consulting firm. He brings over thirty years of global HR and Operations experience including ten years of retained search and consulting. Kevin has held senior and executive level positions in healthcare, technology, publishing, e-commerce, financial services and consulting for companies including the Einstein Group, RCA, General Electric, Reed Elsevier plc., the BISYS Group and CCI. He has played a lead role in the due diligence and integration of more than thirty acquisitions and several divestitures. Kevin’s career, while largely focused in global HR also includes leadership roles in manufacturing, customer service, fulfillment, and engineering and most recently in executive search and organizational development. Kevin was a co-owner of a retained search and executive transition firm and worked as a senior consultant for the Andre Group Inc. before launching the Cnesta Group in 2013. Kevin has worked with entrepreneurs and private Boards of Directors for key executive hires including CEO, CFO and President among others as well as lead projects in executive compensation and succession. As a search consultant, he focuses primarily on critical roles in HR, Sales, Operations and Finance for Fortune 500, private and private equity backed companies. He is also actively involved in transition coaching and career development for multiple levels across several industries. Kevin attended West Chester University for his undergraduate degree and pursued an MBA at Monmouth University, placing that on hold in favor of executive development courses through GE Crotonville. He is a member of a Vistage Key Group. Kevin is happily married with four daughters and resides in Central Pennsylvania.